"The CI kit provides all the tools that a telecommunications technician needs for day-to-day activities. Included in the kit is an S814 impact tool with 66 and 110 termination blades, a probe pic, electricians’ scissors, mini Flathead screwdriver, and a cpt –web cable preparation tool. 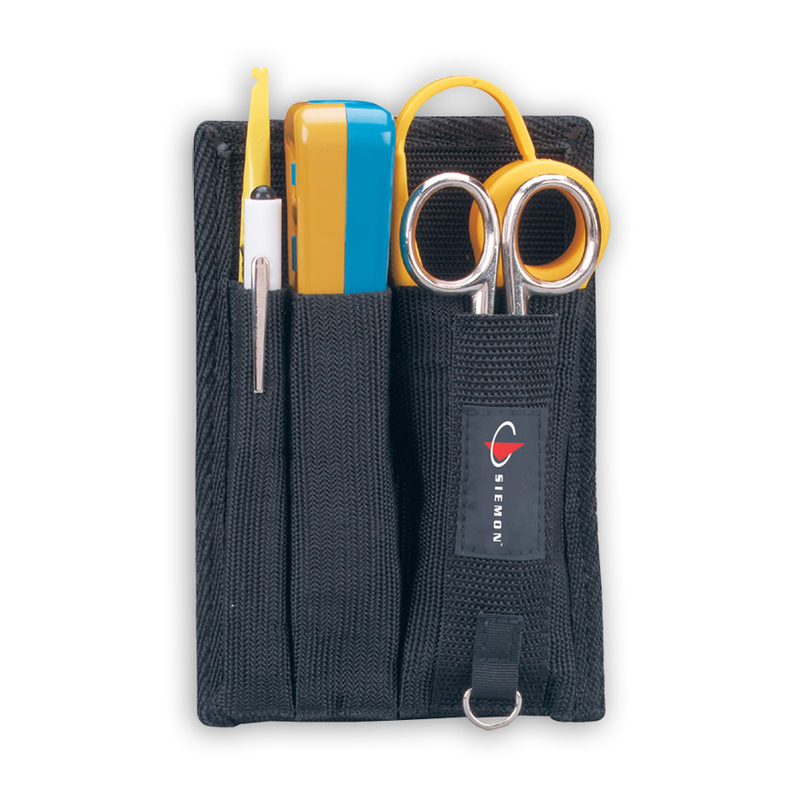 These tools are stored in a handy, lightweight clip-on pouch which allows the installer to cut, strip, and terminate cabling without having to carry separate tools or larger tool kits. " There are a ton of similar belt worn kits around but this remains my favorite. I find the synthetic holsters make the punchdown tool a pain to pull out at the most inconvenient times, like hanging on a ladder. Everything you need and nothing you don't. A bit pricey, but it's a darn good kit. "Siemon’s CI KIT2 builds upon the many benefits of the standard CI KIT but is larger to fit the popular AllPrep Cable preparation tool in place of the cpt-web tool, and a ""D-ring"" has been added to carry additional tools. 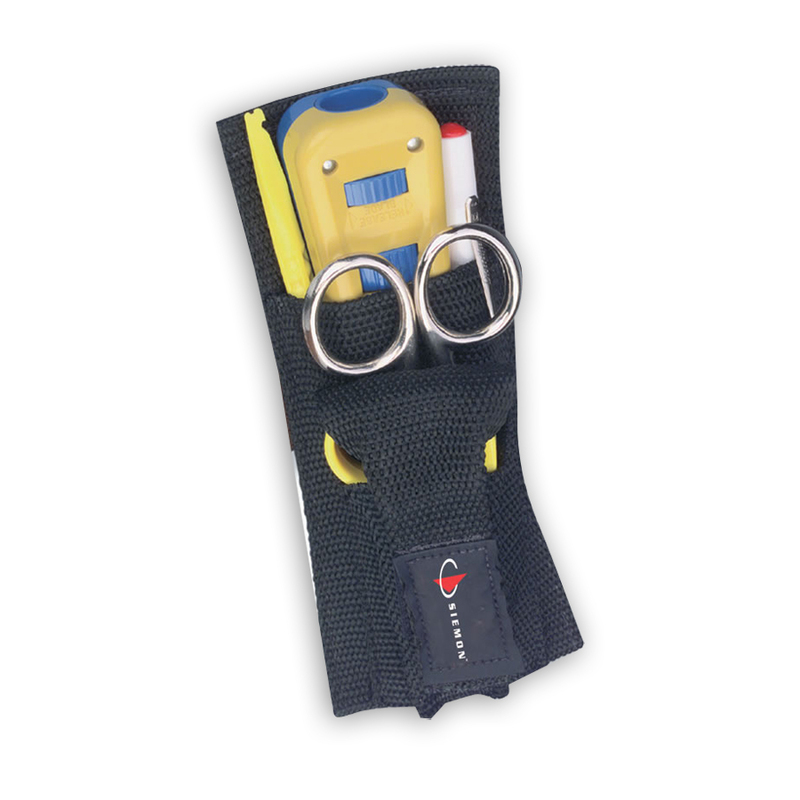 These tools are stored in a lightweight clip-on pouch which allows the installer to cut, strip and terminate cabling without having to carry separate tools or larger."